So the weekend before last me and Neil headed out on Saturday evening. We would have normally preferred different tide times but we where keen to get out anyway and being a Saturday there was plenty of time for sleeping the next day. We didn’t really have a back up plan though as normally this stuff seems to move at a certain stage of the tide but for some reason it just didn’t! I was fed up of trying to find a way to fish through this stuff… Weedless weightless or on the surface was just not happening. We both decided to try and find some clearer water. 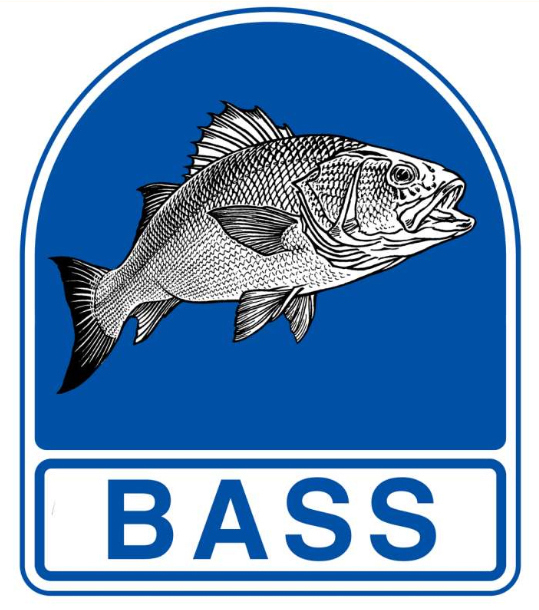 When it’s like this I think even if the place was rammed with Bass it would still be really hard work to catch one. We found clearer water and started to fish. Neil was covering more of the rough ground while I bumped a 10cm SGS on a 21gm jig head at range along the sandy bottom. As the darkness settled in Neil got smashed from under is feet. The fish put up a good scrap diving for cover and a lovely shore Pollock came up from the depths. 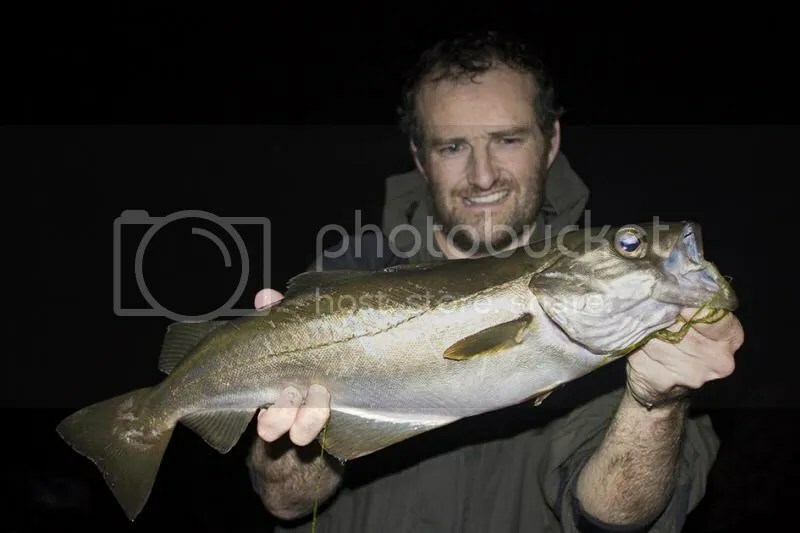 At 55cm this is the best shore Pollock i’ve seen from our local shore and a Specimen round here is only 2.5lb. A lovely fish to see and a PB for Neil. A good start for sure even if we hadn’t seen any silver yet. I continued to bump the bottom and eventually was rewarded with a 51cm Silver bar and very welcome too. Gutted! That felt like a really powerful fish and the second i’ve lost that felt like that this year… ggggrrrhh I must make sure that my drag is set correctly. Having it too tight has cost me more fish this year than having it too loose… I set up quickly and got stuck back in. It had gone a little quiet before I managed a Schoolie that came at a good time. Just as we thought we may have seen the last of the action for the evening I hook another fish. This fish confused me and was swimming towards me at some pace. It flew up the gully next to me before I really felt any weight and it felt like a tidy fish. I got it under the rock I was standing on when snap… My line went again! It was a short while but I was in again, once again the fish was hooked at distance and this fish also decided to head up the gully and towards me at some pace. I managed to tame this one well though and got it under control and on the surface. What the fish where on tonight I have no idea but they must have taken a second or third dose of there normal steroid’s. They wouldn’t give up! 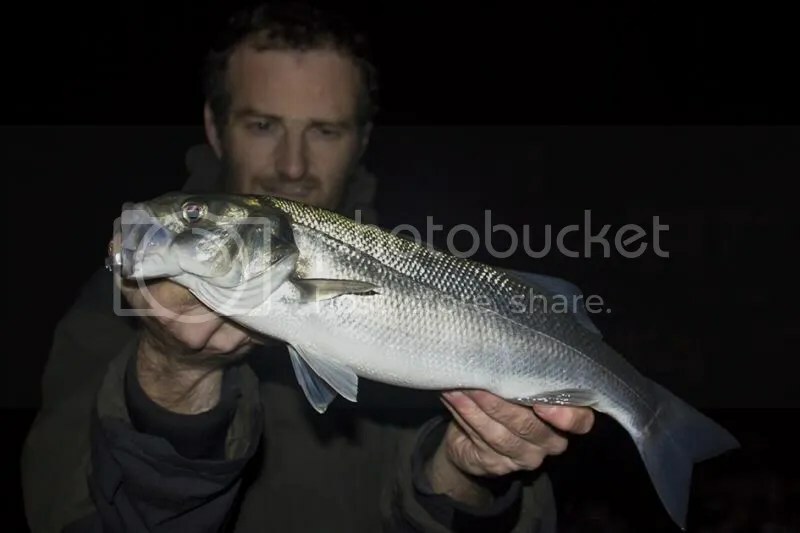 I managed to land the fish and a nice 56cm. Unfortunately for me he had destroyed the One up shad, well it had just come unglued but it would just keep sliding down the hook… I was running out of lures I felt confident with and opted to fish a hard lure as the water was getting shallower too. This seemed like a good option given the depth of water and also being able to gain more distance. It went quiet again until Neil hooked a fish. I made my way over and as I got near it came off, it felt like a better fish too said Neil! That’s annoying, very annoying. We where having one of those nights and this could have been a truly epic session. I got there eventually and landed a nice 62cm fish and one i’ll never forget. What a fight! 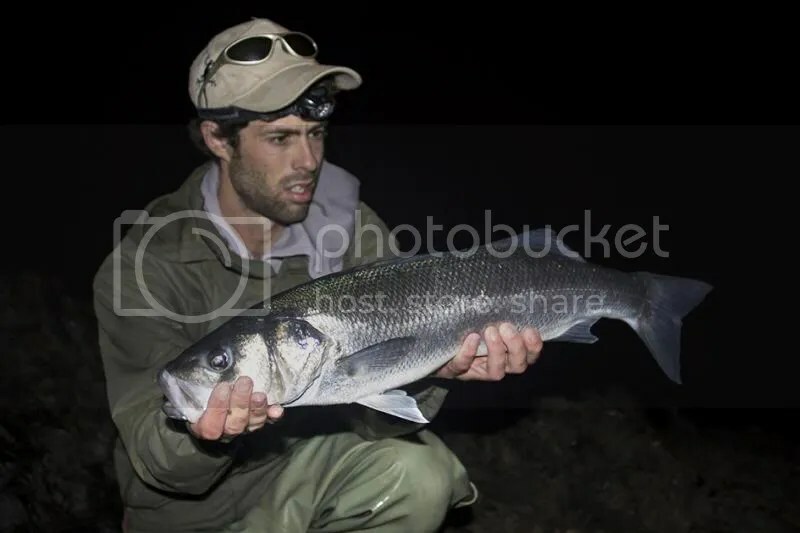 I released the fish after some photo’s and watched it gently hold in the water below, it’s silvery blue back and electric blue coloured fins shining in the light from my head torch just looked awesome and something I wish I had a photo of! This entry was posted in The Fishing and tagged Bass, Lure fishing, One up Shad, Pollock, Savage gear Sandeel. Bookmark the permalink. Awesome report mate and it was a brilliant night. That 62cm was an epic fight and was certainly entertaining to watch you jumping around on the rocks, I think I would of fallen in!